Bethesda Softworks and Titan Books released the first volume of The Elder Scrolls Online: Tales of Tamriel earlier this year, and it must have been a reasonably decent success, because The Elder Scrolls V: Skyrim is about to get the same treatment. 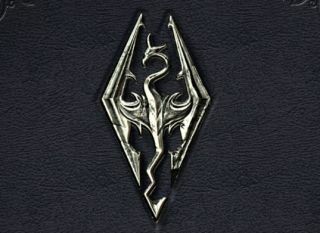 The Skyrim Library, Volume 1: The Histories, the first of three planned books in a "lavishly illustrated and produced" set, will be out later this month. The Skyrim Library will tell you all there is to know about the Nordic land of Skyrim, including its history, cultures, creatures, and myths. The books will be feature text taken from the game on factions, heroes, creatures, dragons, and more, and punch things up with original lore and official art as well. Not everyone is going to get wound up about lore books, naturally, not even a set as nice as this. But die-hard fans of The Elder Scrolls, and Skyrim in particular, are probably going to be at least a little bit tempted by it. The hardbound, 232-page volume will set you back $35, and is expected to start shipping on June 23. Preorders, if you are so inclined, may be placed at the Bethesda Store.